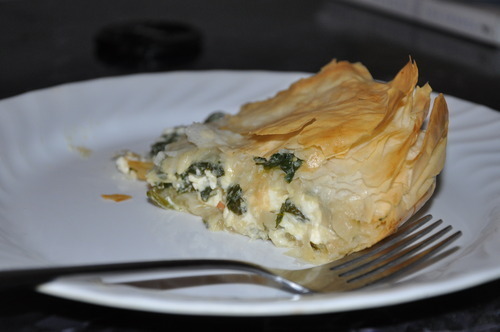 A favourite childhood recipe of mine is Greek Spanokapita (even though my family is not Greek whatsoever). 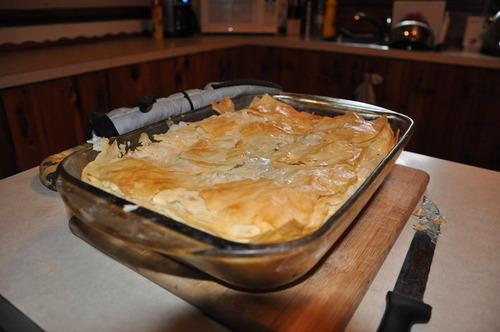 Begin by spreading butter over a layer of phyllo pastry. 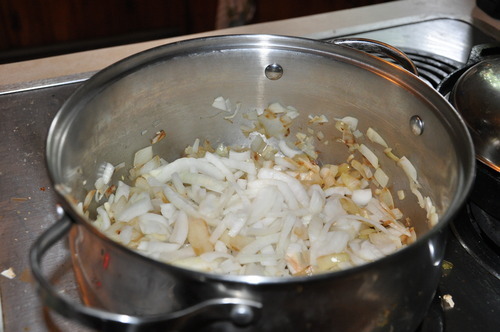 We used a spatula but it is much easier to use a brush if you are endowed with such a well-stocked kitchen. 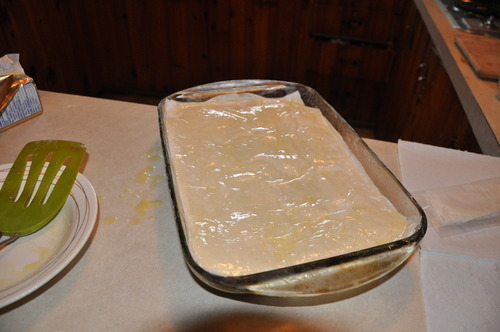 Keep layering the pastry with butter until you get bored. 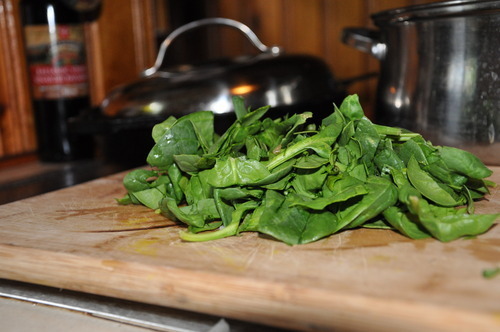 Prepare the filling by sauteing the onion, garlic and spinach then adding as much feta as you can handle and an egg. Now you can enjoy the butterful cheesiness that is Spanokapita!